By David Thun on December 30, 2013 - Kansas recently became the first U.S. state to send a paperless apostille — a certificate used to verify notarial acts and other important records — to another country. 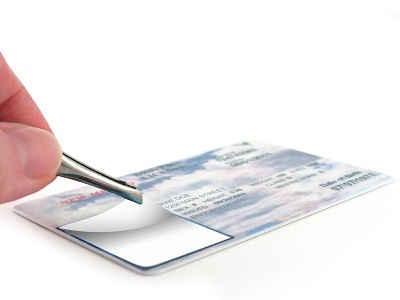 By NNA Staff on April 18, 2013 - The deadline for states to adopt REAL ID standards passed on January 15, 2013, and three quarters of U.S. states still fall short of the new requirements. Only 13 states currently issue driver’s licenses and other IDs that comply with the enhanced security standards, according to the U.S. Department of Homeland Security. By NNA Staff on January 25, 2013 - The American Bar Association’s (ABA) top official recently issued a warning about “Notarios” who may try to take advantage of young immigrants following the launch of the federal government’s Deferred Action for Childhood Arrivals program, which allows certain undocumented residents brought to the U.S. as children to avoid deportation. By NNA Staff on January 25, 2013 - While it’s possible to notarize a document written in a foreign language, it’s very important to take steps to ensure you aren’t being misled about the document’s content or the signer’s intentions before you proceed. By NNA Staff on December 13, 2012 - As part of an ongoing effort to streamline and reform its notarial system, Malta is implementing a series of amendments and regulations designed to create a more transparent reporting system, standardize its service model, and ensure consistent, high quality performance from its Notaries. By Michael Lewis on November 02, 2012 - The National Association of Realtors reports a significant increase in the number of foreigners purchasing American homes, with Canadians, Chinese and Mexican home purchasers now comprising the top three international investors in U.S. real estate. By NNA Staff on October 08, 2012 - Efforts to crack down on immigration services fraud are expanding beyond the traditional focus on Notarios Publicos to combat scams targeting immigrants from other cultures. By NNA Staff on September 11, 2012 - Elaine Wright, NNA’s 2009 Notary of The Year, loves traveling around the world and, as a dedicated Notary educator and Signing Agent, takes time during her sojourns to meet with Notaries worldwide. The International Section caught up with Elaine to discuss her recent trip to Australia and New Zealand and what she discovered after her encounter with Notaries Down Under.